ARPF is approved to participate in the AZ SECC Fall campaign. March, conducted free memory screenings at the 15th annual Tucson Festival of Books in Tucson, AZ. May, presented and exhibited research results at International Congress on Integrative Medicine in Baltimore, MD. June, provided education to attendees of the International Association of Yoga Therapists (IAYT) in Reston, VA.
July, presented research on Kirtan Kriya and The Pink Brain™ Project titled, “How Yoga Meditation May Prevent Alzheimer’s” at the Alzheimer’s Association International Conference (AAIC). September, presented research at Academy of Integrative Health & Medicine (AIHM) Annual Conference in San Diego, CA. September, presented research during the Medical Fitness Tour at the University of San Francisco, CA. October, held the second inaugural Brain Longevity Therapy Training at the American University Washington College of Law, Washington DC. October, presented research at the Symposium of Yoga Therapy held at Kripalu Center in Stockbridge, MA. The article Dr. Dharma wrote, “Stress, Meditation, and Alzheimer’s Disease Prevention: Where The Evidence Stands,” ranked top 10 most read articles in 2017 published in the Journal of Alzheimer’s Disease. January, published a research paper in the journal International Psychogeriatrics entitled “A Randomized Controlled Trial of Kundalini Yoga in Mild Cognitive Impairment.” This work earned the post-doc the International Psychogeriatric Association Junior Research Award. February, published a research paper in the Journal of Alzheimer’s Disease entitled: “Meditation and Music Improve Memory and Cognitive Function in Adults with Subjective Cognitive Decline: A Pilot Randomized Controlled Trial. March, hosted the 14th Annual Tucson Memory Screening Day in Tucson, Arizona. March, presented at Yoga as Lifestyle Medicine at the Smithsonian Institution in Washington, DC. March, presented at Aging in America Conference in Chicago, Illinois. 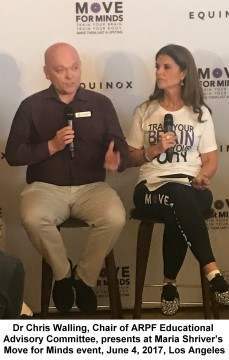 June, participated in Maria Shriver’s MOVE for MINDS annual event in Los Angeles and Irvine, California. June, participated in the Symposium on Yoga Therapy and Research in Newport Beach, California. June, provided free memory screenings as a service project at the Rotary International Convention in Atlanta, Georgia. October, presented at the Academy of Integrative Health & Medicine Conference in San Diego, California. October, held the inaugural Brain Longevity Therapy Training on the UCLA campus, Los Angeles, California. January, presented the results of its research at the MCI Symposium in Miami Beach, Florida. March, held the thirteenth Annual Memory Screening Day at the Tucson Annual Festival of Books in Tucson, Arizona. March, presented a poster at the American Society on Aging Annual Conference entitled, “Yoga Meditation Enhances Cognitive Function: a Decade of Research” in Washington, D.C.
April, participated in an International Service Project providing free Memory Screenings in conjunction with Rotary International in Nogales, Mexico. May, presented at the International Research Congress on Integrative Medicine and Health in Las Vegas, Nevada. June, participated in the International Association of Yoga Therapists Symposium in Reston, Virginia. June, published How to Meditate Manual, The Art & Science of Kirtan Kriya, Perfect Health, Happiness, and Inner Peace in 12 Minutes a Day. July, presented at the Alzheimer’s and Dementia Summit, a web-based conference. July, presented a poster at the Annual Alzheimer’s Association International Conference entitled, “Mild Cognitive Impairment: The Effect of Kirtan Kriya Meditation on Psychological and Cognitive Status” in Toronto, Canada. July, participated in the premiere viewing of the documentary about Alzheimer’s risk factors and current treatment options, “The Monster in The Mind” by Jean Carper, which the ARPF co-sponsored, in Toronto Canada. March, held the twelfth Annual Memory Screening Day at the Tucson Annual Festival of Books in Tucson, Arizona. March, ARPF President was named Clinical Associate Professor of the University of New Mexico Heath Science Center, Department of Internal Medicine, Geriatrics and Integrative Medicine. May, participated in the Life@50+ AARP convention and administered hundreds of fee Memory Screenings and educated attendees about the 4 Pillars of Alzheimer’s Prevention Program ® in Miami Beach, Florida. June, participated in the International Association of Yoga Therapists Symposium, Newport Beach, California. 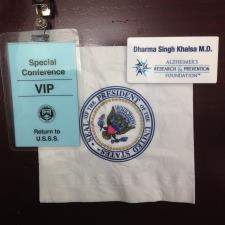 July, ARPF was one of only 200 invited guests to the White House Conference on Aging, an event that takes place once every ten years, The White House in Washington, D.C.
November, presented at the Brain Futures Conference in Annapolis, Maryland. November, presented at the SharpBrains Virtual Summit. March, presented at the American Society on Aging Annual Conference in San Diego, California. March, held the eleventh Annual Memory Screening Day at the Tucson Annual Festival of Books in Tucson, Arizona. May, participated in the Int’l Research Congress on Integrative Medicine and Health in Miami, Florida. June, participated in the International Association of Yoga Therapists Symposium in Austin, Texas. July, presented a poster at the Alzheimer’s Association International Conference entitled, “Yoga and Medical Meditation May Modulate MCI Progression” in Copenhagen, Denmark. September, participated in the Life@50+ AARP convention and administered hundreds of free Memory Screenings and educated attendees about the 4 Pillars of Alzheimer’s Prevention Program in San Diego, California. October, presented at the SIMPLE Integrative Medicine Conference in Albuquerque, New Mexico. October, presented at the SharpBrains Virtual Summit. March, Collaborated with the Albert Einstein College of Medicine in the Einstein Aging Study in New York, New York. June, Participate in the International Association of Yoga Therapists Symposium in Boston, Massachusetts. June, ARPF participated in the AARP Life@50+ conference and provided hundreds of free Memory Screenings and educated attendees about the 4 Pillars of Alzheimer’s Prevention Program in Las Vegas, Nevada. 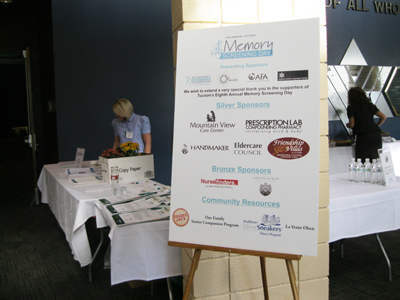 October, held the tenth Annual Memory Screening Day in Tucson, Arizona. November, 20th Anniversary Super Brain Lifestyle Webinar with Mariel Hemingway and Lori La Bey guest speakers. December, its research is featured in AARP Magazine. May, presented at the Banner Health Hospital Integrative Therapies Conference in Phoenix, Arizona. 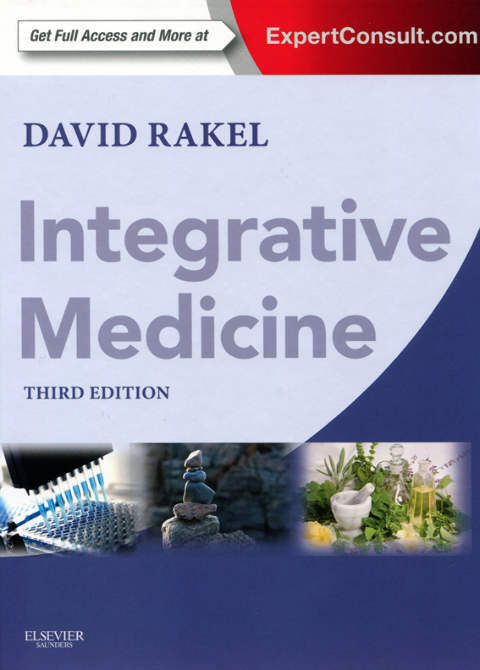 May, published a chapter on Alzheimer’s Disease in the medical textbook Integrative Medicine, Third Edition, by David Rakel, M.D. June, presented its research at Sharp Brains Virtual Summit. July, presented at the Alzheimer’s Association International Conference in Vancouver, Canada. July 24, UCLA Newsroom covers in a study in partnership with ARPF that helps caregivers of people with dementia. October, presented at Rotary District 5500 Annual Governor’s Conference in Tucson, Arizona. December, was featured on Telemundo KVEA’s “Report on Kirtan Kriya” as a way to prevent Alzheimer’s. Fall, was named Top 100 Websites for Nursing Assistant Guides. Was a featured charity on the CBS Celebrity Apprentice, chosen by David Cassidy. February, began its 6th research study: Functional magnetic resonance imaging (fMRl) study of meditation in stressed family dementia caregivers, in conjunction with UCLA. April, presented at Sharp Brains Virtual Summit. May, the first article featured in the Huffington Post entitled,” An Easy Meditation Practice” was published. This was followed by three additional articles throughout the year. May, presented results of ARPF research at the Telomere Biology in Health and Disease international conference in Stockholm, Sweden. Began its 5th research study: to carry out telomere measurements in the FINGER study population, in conjunction with the National Institute for Health and Welfare of Finland and the Karolinska Institute of Sweden. November, conducted the eighth Annual Memory Screening Day in Tucson, Arizona. Published a chapter on Kirtan Kriya Meditation: A Promising Technique for Enhancing Cognition in Memory-Impaired Older Adults in the medical textbook Enhancing Cognitive Fitness in Adults by Paula Hartman-Stein. Received praise from Sandra Day O’Connor and Maria Shriver on its ongoing work. January, presented at UCLA Center on Aging “wellness and Longevity” conference in Los Angeles, California. April, presented at the Clinical Applications for Age Management Conference in Boca Raton, Florida. April, presented at Canyon Ranch Hotel and Spa, Miami, Florida. October, presented at the 2010 Symposium on Yoga Research in Honesdale, Pennsylvania. 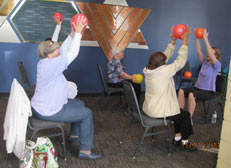 November, organized Memory Fitness Day in Sun City West, Arizona, a free community education and memory screening event. November, conducted the seventh Annual Memory Screening Day in Tucson, Arizona. December, Presented at the 49th Annual Meeting of the American College of Neuropsychopharmacology in Miami, Florida. Started its collaboration with the FINGER study in Finland and Sweden and the Karolinska Institute to support the ongoing Finnish Geriatric Intervention Study to Prevent Cognitive Impairment and Disability. Presented at IONS of Tucson in Tucson, Arizona. Conducted its 6th year of Memory Screening Days, becoming a resource for others on memory screenings and the prevention of Alzheimers. June, presented at the Huntington’s Disease Society of America Annual Convention in Phoenix, Arizona. October, ARPF hosts a special presentation to unveil the results of its Ground-breaking scientific work in Phoenix, Arizona. December, ARPF presented at the 17th Annual World Congress on Anti-Aging Medicine in Las Vegas, Nevada. Celebrated the opening of its Scottsdale satellite office by holding a reception in Phoenix, Arizona. March, presented at Osher Lifelong Learning Institute in Tucson, Arizona. Began its 3rd research study: Brain Scans in subjects with memory loss utilizing Kirtan Kriya meditation, in conjunction with University of Pennsylvania Medical School, Philadelphia, Pennsylvania. Conducted the fifth Annual Memory Screening Day in Tucson, Arizona. June, presented at the Alzheimer’s Association’s International Conference on Prevention of Dementia in Washington, DC. August, presented at Chautauqua Institution Summer Lecture Series Chautauqua, New York. October, presented at the 6th World Congress on Stress Vienna, Austria. October, presented at the Alzheimer’s Foundation of America 2nd National Concepts in Care Conference Philadelphia, Pennsylvania. September, presented at a Corporate Wellness program in Belo Horizonte, Brazil. November, presented at the 43rd Annual New Concepts In Medicine: The Aging Body California Hospital Medical Center Los Angeles, California. December, published a chapter on Alzheimer’s Disease in the medical textbook Integrative Medicine, Second Edition, by David Rakel, M.D. Conducted the fourth Annual Memory Screening Day in Tucson, Arizona. Conducted its second research project: Brain Scans to measure cerebral blood flow utilizing 2 mind/body techniques, in conjunction with University of Pennsylvania Medical School, Philadelphia, Pennsylvania. January, presented at Dr. Andrew Weil on Aging Healthy workshop in Tucson, Arizona. January 21, presented at the3rd Annual Conference – Natural Supplements: An Evidence-Based Update, Scripps Center for Integrative Medicine in La Jolla, California. February, provided In-service training at Catholic Social Services Tucson, Arizona. March, presented at the 2006 Joint Conference of the National Council on the Aging (NCOA) and the American Society on Aging (ASA) – Invest in Aging in Anaheim, California. April, presented at the Center for Spirituality and the Mind Symposium Department of Radiology, University of Pennsylvania in Philadelphia, Pennsylvania. May, presented at the Marana Rotary Club weekly meeting, Marana, Arizona. October, presented at I Can Do It! Hay House Conference Orlando, Florida. November, presented at the American College for Advancement in Medicine Annual Conference held in Palm Springs, California. November, presented at Celebrate Your Life! Conference in Scottsdale, Arizona. Conducted the third Annual Memory Screening Day in Tucson, Arizona. January, presented at UTMB Lecture Series, Sealy Center on Aging, East Texas Geriatric Education Center in Galveston, Texas. March, presented at The Learning Annex in San Francisco, Los Angeles, and San Diego, California. May, presented at Health First Leeza’s Place, West Melbourne, Florida. May, presented at American Association of Orthodontists 105th Annual Meeting in San Francisco, California. 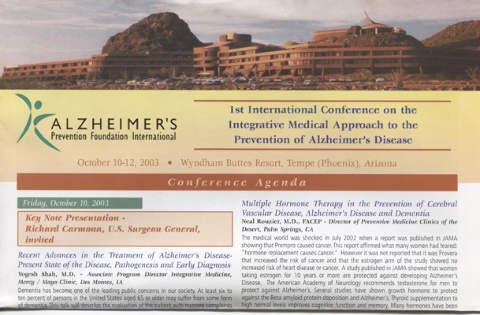 June, presented at 2005 Texas Conference: “Alzheimer’s Care: Innovation and Practice for Everyday Life” , Texas Council on Alzheimer’s Disease and Related Disorders, Texas Department of State Health Services in Austin, Texas. June, presented at the International Conference on Prevention of Dementia: Early diagnosis and Intervention, Alzheimer’s Association located in Washington, DC. June, published a chapter entitled, “An Integrative Medical Approach to Alzheimer’s Disease” in the medical textbook The Psychospiritual Clinician’s Handbook: Alternative Methods for Understanding and Treating Mental Disorders. August, presented at Omega Institute in Rhynebeck, New York. October, participated in a Panel discussion on Aging at the California Governor and First Lady’s Conference on Women and Families in Long Beach, California. Conducted the second Annual Memory Screening Day in Tucson, Arizona. Conducted the first-ever Annual Memory Screening Day in Arizona. January, presented at The Crossings in Austin, Texas. March, presented at Unity of Tucson, Arizona. April, presented at a Corporate Wellness Program at Vichy Catalan in Barcelona, Spain. May, presented at I Can Do It! Conference Las Vegas, Nevada. October, presented at Omega Institute in Rhinebeck, New York. November, presented at Celebrate Your Life Conference in Scottsdale, Arizona. Associated Event: President Ronald Reagan dies after 10 years of suffering from Alzheimer’s disease. Completed its first research project on a mind/body exercise and its effects on the brain, in conjunction with University of California at Irvine and the Amen Clinics, in Irvine, California. 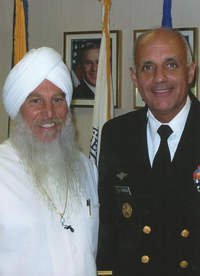 Dr. Khalsa testified before the United States Congress about ARPF’s prevention platform and afterwards, met with the United States Surgeon General, Vice Admiral Richard Carmona, M.D., M.P.H., who offered his support for the foundation’s work and stated that this work should now be considered mainstream. February, presented at The Learning Annex in New York City, New York. March, presented at Sunstone Healing Center in Tucson, Arizona. March, presented at Spa 100 Trend Issue Spa Magazine Media Event in Santa Monica, California. April, presented at a Corporate Wellness Program in Barcelona, Spain. November, published a chapter on Alzheimer’s Disease in the medical textbook Complementary and Alternative Mecidine in Rehabilitation, by Eric Leskowitz, M.D. December, published a chapter on Alzheimer’s Disease in the medical textbook Integrative Medicine, First Edition, by David Rakel, M.D. December, presented at Life Beyond Cancer Annual retreat held in Tucson, Arizona. Associated Event: The FDA approves Namenda, the fourth Alzheimer’s drug. Associated Event: The research for a vaccine to cure Alzheimer’s suffers a setback when subjects show brain inflammation during trials. January, presented at the International Wellness Conference in Galveston, Texas. February, presented at a Corporate Brain Wellness seminar in Oslo and Harstad, Norway. March, presented at Sociedad Para La Prevención del Alzheimer held at AC Mexico City, Mexico. March, presented at the Sixth Annual Alternative Therapies Symposium in San Diego, California. April, presented at Aging in America: 7th Annual Conference Healing Arts: Medicine, Ethics, Humanities University Medical Center in Tucson, Arizona. May, presented at the Austin-Heart of Happiness Conference by Omega Institute in Austin, Texas. July, Presented at the Sociedad Para la Prevención del Alzheimer, in AC Mexico City, Mexico. Associated Event: Mainstream research presented at an International Alzheimer’s Conference in Sweden supports programs to prevent Alzheimer’s and memory loss, backing up the ARPF’s research and ongoing programs. January, presented at the Arizona Cancer Center, Tucson, Arizona. March, presented at Yoga House, Los Angeles, California. April, ARPF presented at Satsang with Deepak Chopra, M.D. at the Chopra Center for Well Being in La Jolla, California. May, presented at American Holistic Medical Association Annual Conference held in Miami, Florida. May, presented at 2nd Biennial University of AZ Conference on Spirituality, Healing and Health in Tucson, Arizona. June, presented at Omega Institute, Rhinebeck, New York. July, presented at American Academy of Anti-Aging Medicine Conference in Chicago, Illinois. September, presented at a Corporate Brain Wellness seminar in Zurich, Switzerland. December, presented at Life Beyond Cancer II Seminar in Tucson, Arizona. February, ARPF presented at the Arizona Yoga Association, Tucson, Arizona. March, ARPF presented at The Psychology of Health, Immunity & Disease Practitioners Conference Hilton Head Island, South Carolina. April, presented at the University of Arizona Medical School, Tucson, Arizona. May, presented at Esalen Institute, Big Sur, California. May, presented at American Holistic Medical Association Conference. June, presented 1st International Anti-Aging Conference in Monte Carlo, Monaco. September, presented at Omega Institute, Rhinebeck, New York. October, Organized and presented at the Second International Brain Longevity Training Conference Tucson, Arizona. ARPF Receives “Best Charities in America” Recognition. The Alzheimer’s Research and Prevention Foundation received the “Best Charities in America” Seal of Excellence-acknowledging ARPF as one of the top charities in America. This Seal is only awarded to those public charities that, after rigorous independent review, are proven to meet the highest standards of non-profit operation. January, ARPF was featured in Bottom Line Health magazine. March, presented at the National Institute for the Clinical Application of Behavioral Medicine in Hilton Head, South Carolina. May, presented at the American Holistic Medical Association annual conference in Washington, DC. May, presented at the American Academy of Advancement of Medicine annual conference in Orlando, Florida. July, presented at the Gerontology and Anti-Aging Medicine Conference in Guadalajara, Mexico. October, presented at the National Institute for the Clinical Application of Behavioral Medicine in Hilton Head, South Carolina. October, ARPF presented at the El Ser Integral Conference in Mexico City, Mexico and featured in the main Mexico City Newspaper Reforma. November, ARPF organized and presented at the First International Brain Longevity Training Conference Tucson, Arizona. December, presented at the National Institute for the Clinical Application of Behavioral Medicine in Palm Springs, California. Media: ARPF was featured in Prevention Magazine, Let’s Live Magazine, Bottom Line Health, and Total Health Magazine. Associated Event: The “NUN Study” is published. This study suggests that education and cognitive work help stave off Alzheimer’s disease. Associated Event: The FDA approves Exelon, the third Alzheimer’s drug. March, presented at Pain Frontiers 1998 Conference in Phoenix, Arizona. March, presented at the American Academy of Pain Medicine 14th Annual Conference in San Diego, California. May, presented at the Complementary & Alternative Therapies conference sponsored by the University of Iowa in Iowa City, Iowa. May, presented at the American Academy of Pain Management 9th Clinical Meeting in Atlanta, Georgia. July, presented at Omega Institute in Rhinebeck, New York. September, presented at the Employee Assistance Program of Southern Arizona Conference in Tucson, Arizona. October, presented at Casa Colina World Whole Health Forum in Los Angeles, California. December, presented at the Psychology of Health, Immunity & Disease 10th International Conference at the Hilton Head Island, South Carolina. December, presented at the VII Foro Internacional de Humanologia in Guadalajara, Mexico. January, presented at the annual International Conference on Plastic Surgery in Cabo San Lucas, Mexico. April, APRF presented at the Alternative Therapies Symposium in Orlando, Florida. 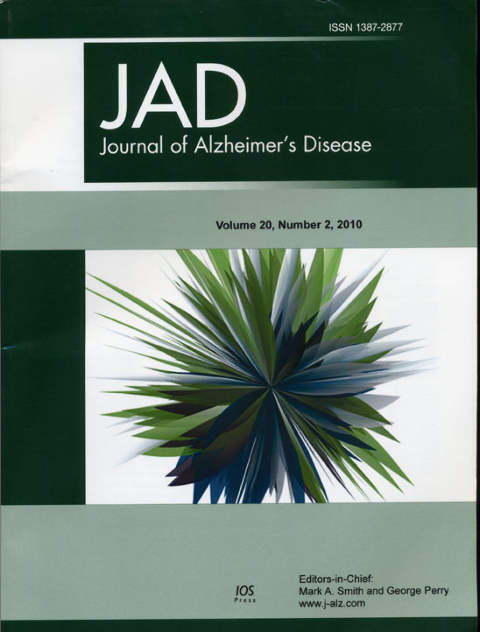 July, published an article entitled ‘An Alternative Medical Program Is Effective in Patients with Cognitive Decline’ in the peer-reviewed Journal of Alternative Therapies, Vol 3, No. 4, Page 94. September, presented at the Third Annual Congress on Alternative and Complementary Therapies in Arlington, Virginia. September, presented at the XVI World Congress of Neurology in Buenos Aires, Argentina. October, presented at the Annual Convention of the International Spa and Fitness Association in Banff Springs, Alberta, Canada. November, presented at the Fall Convention of the American College for Advancement in Medicine in Anaheim, California. December, presented at the Psychology of Health, Immunity and Disease Conference in Hilton Head, South Carolina. December, presented at the Fifth International Conference on Anti-Aging Medicine in Las Vegas, Nevada. December, published an article entitled “Integrated Medicine and the Prevention and Reversal of Memory Loss” in the peer-reviewed Journal of Alternative Therapies. Associated Event: The FDA approves Aricept, the second Alzheimer’s drug. The ARPF presented its work at International Medical Conferences in Nice, France and Buenos Aires, Argentina. April, presents at the Fourth International Nice/Springfield Symposium on Advances in Alzheimer’s Therapy in Nice, France. June, presented at the 2nd Annual International Congress on Alternative and Complementary Medicine in Alexandria, Virginia. June, published a chapter on ‘New Developments in the Prevention and Reversal of Memory Loss’ in Advances in Anti-Aging Medicine, a medical textbook, co-publication of the American Academy of Anti-Aging Medicine and Mary Ann Liebert publisher. July, presented at the Eighth General Assembly of the World Future Society in Washington, DC. August, participated in NIH Alternative Medicine workshop in Palm Springs, California. September, presented at the University of Nebraska Medical Center in Farnam, Nebraska. October, presented at the 26th Annual Meeting of the American Aging Association. November, published a chapter on Complementary Medical Approach to Memory Loss in The Science of Anti-Aging Medicine medical textbook by the American Academy of Anti-Aging Medicine. November, presented at the Mind Science Foundation in San Antonio, Texas. December, presented at the 4th Annual Conference on Anti-Aging Medicine in Las Vegas, NV. May, presented and chaired a panel discussion at the First International Congress on Alternative and Complementary Medicine in Crystal City, Virginia. August, presented at the Spiritual Pathways to Health Conference in Albuquerque, New Mexico. August, presented at the American Sociological Association annual convention in Washington, DC. October, ARPF was invited to participate in a radio interview on ‘Here’s to Your Health” radio talk show. Associated Event: The FDA approves Tacrin, the first Alzheimer’s drug. March, presented at the Arizona Holistic Nurses Association annual meeting in Tucson, Arizona. December, presented at the 2nd Annual Biomedical Conference on Anti-Aging Medicine in Tucson, Arizona. March, Dr. Khalsa and his wife Kirti form the Alzheimer’s Research and Prevention foundation, a 501(c)(3) charitable organization dedicated to preventing Alzheimer’s disease.